Hope everyone is good. I want to apologize for not posting. I have been sick and been off work for couple of days so I wanted to focus on my health. 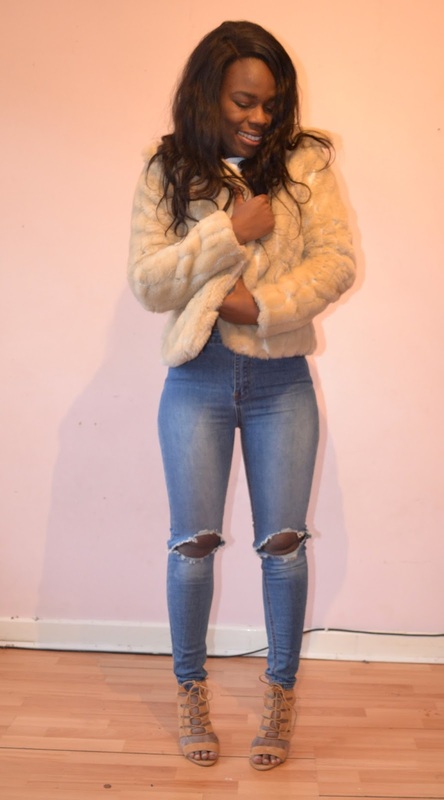 So, Here's a look I wore a couple of weeks ago.This look was inspired by the saying "Oh Baby It's Getting Cold Outside" that's more based on the fur. I have to say I feel so warm when I wear this coat. It's so big on me but it still looks stylish. I don't think I can go another day without my high wasted jeans as it shows off my figure and for some reason it makes my legs look long and toned ha!